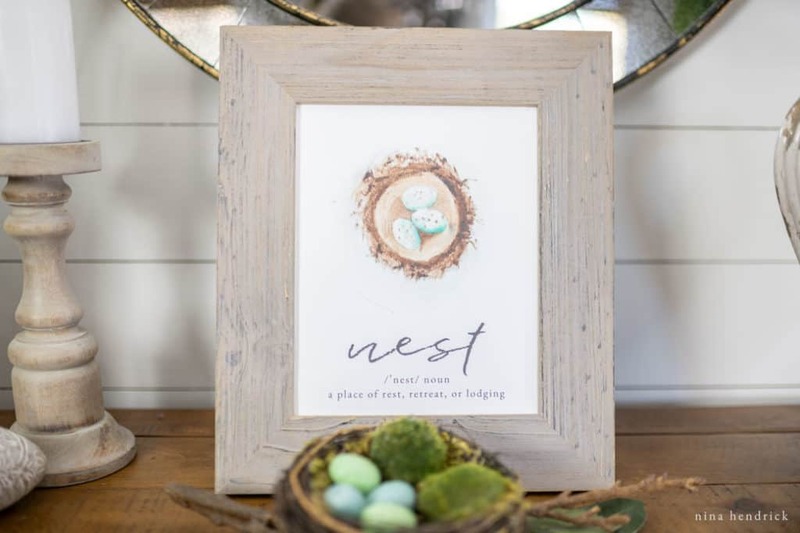 Recreate this vignette and decorate for Spring and Easter with this Free Nest Watercolor Printable. 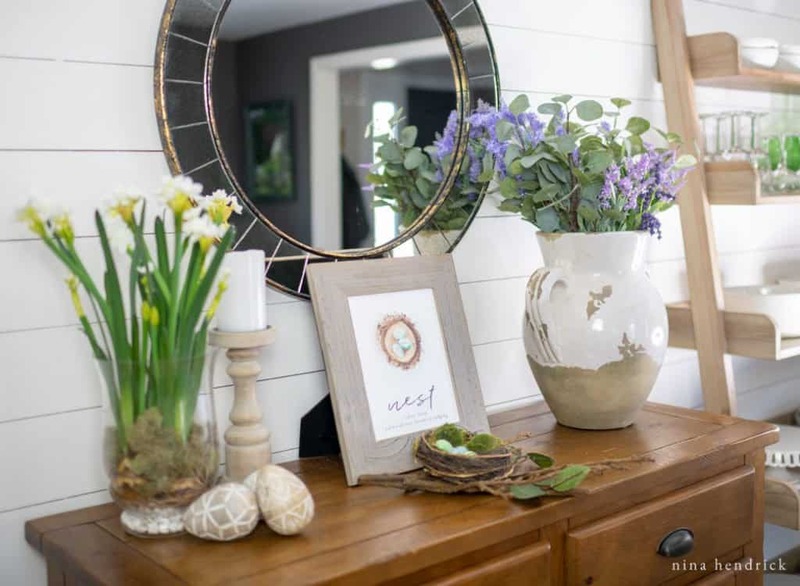 While Fall is my favorite season in general, I would say that Spring is my favorite season to decorate for! I’ve created many Spring and Easter printables over the years. Examples include this bunny print, these sweet baby animal tags, a collection of my favorite Spring things, and this Easter banner. Somehow, I’ve never painted a nest! 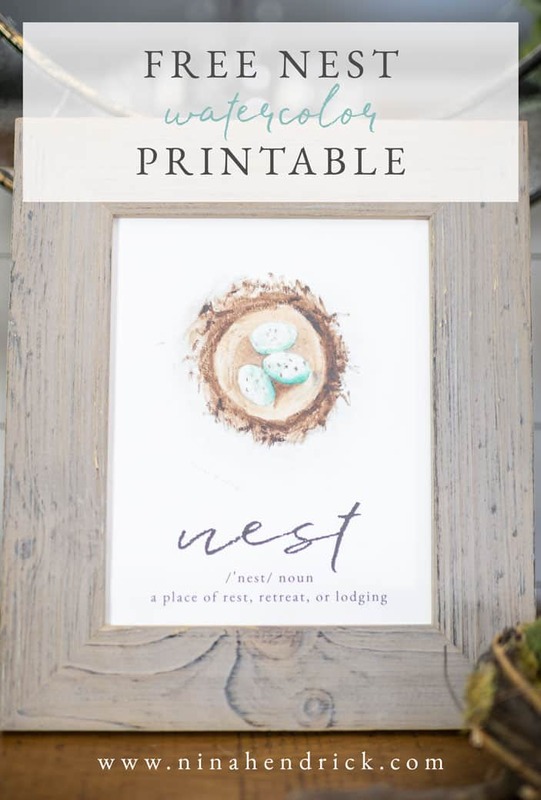 So today I’m bringing you this Free Nest Watercolor Printable! 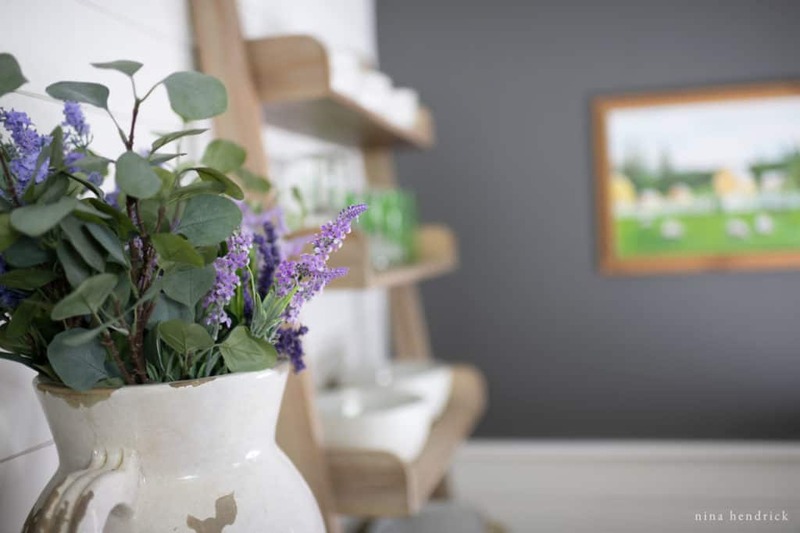 Also, a simple little vignette that you can recreate. 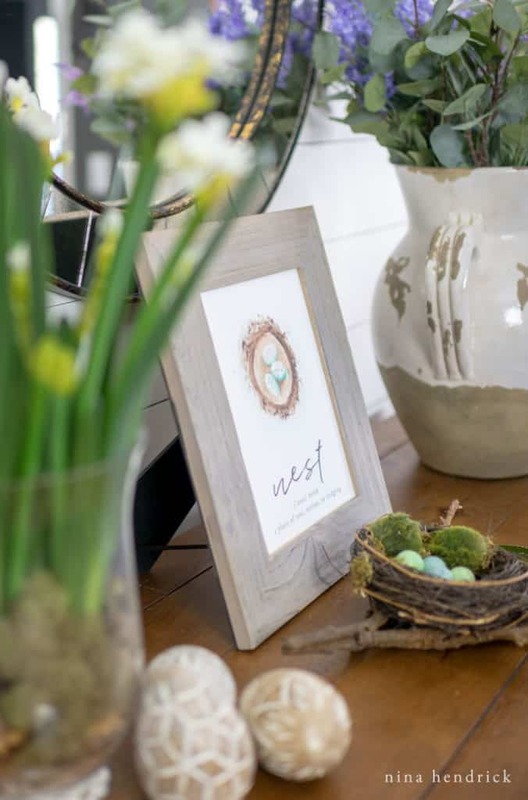 There are more than 25 other bloggers sharing beautiful Spring printables at the bottom of this post, so don’t miss them! 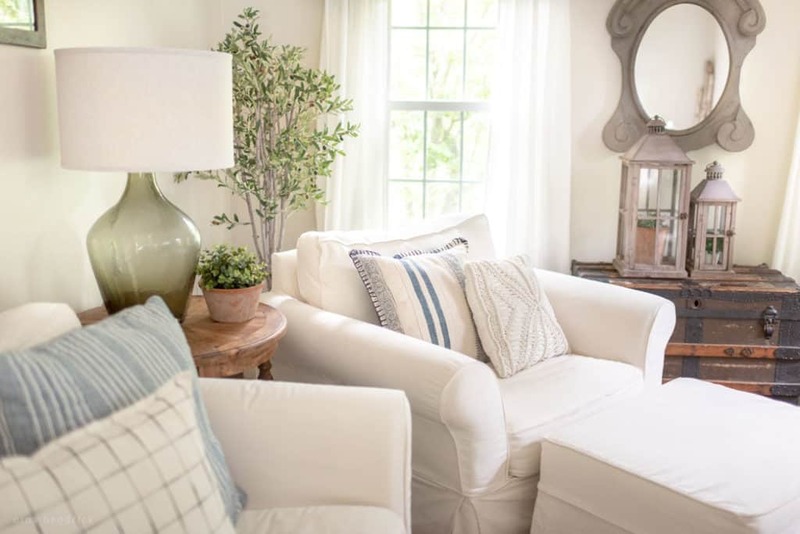 I put it to a vote in my members-only Facebook decorating community (which you can subscribe to here!). Me painting a nest was the resounding choice, although there were a lot of good ideas for the future, too! I used this nest as my model while I watercolored. 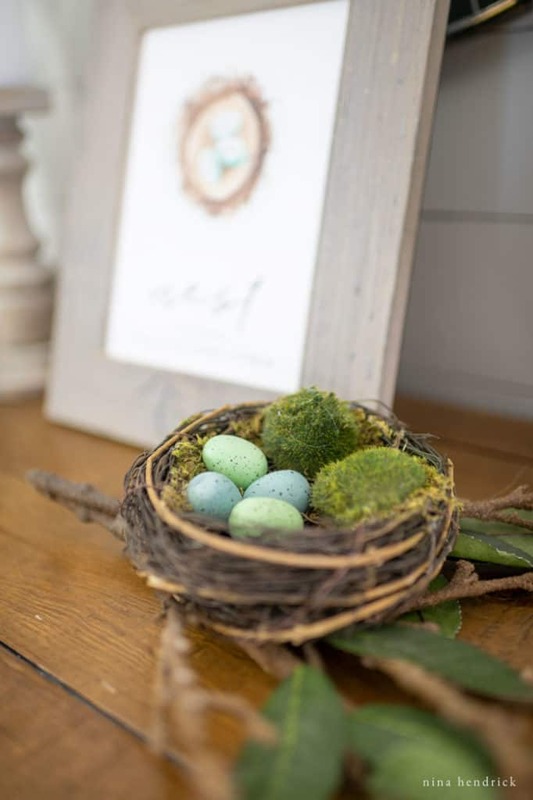 Every Spring I’m asked about this little nest, which I got from Pottery Barn about a decade ago. It could definitely be recreated, but here’s a source for a similar one! I kept the purple flowers from my Purple Spring Tablescape. This was my first year decorating with purple and I really like it! 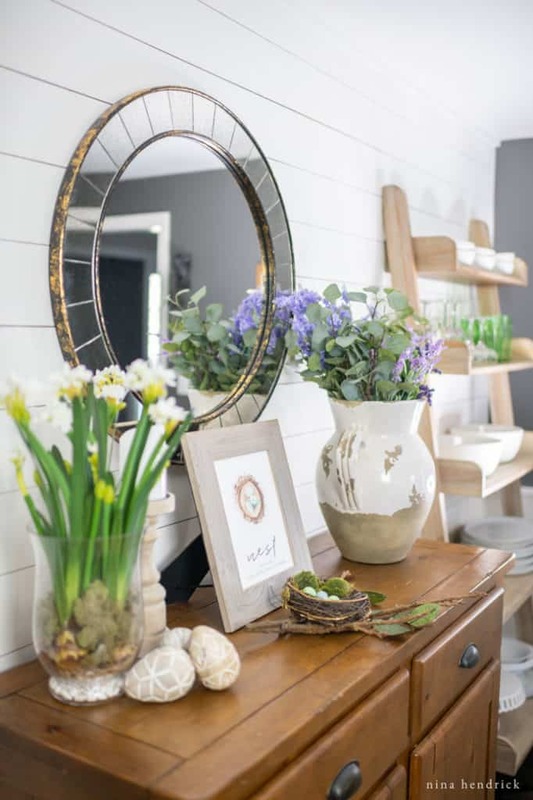 Overall, this vignette is very simple. I mostly used things I already had on hand. 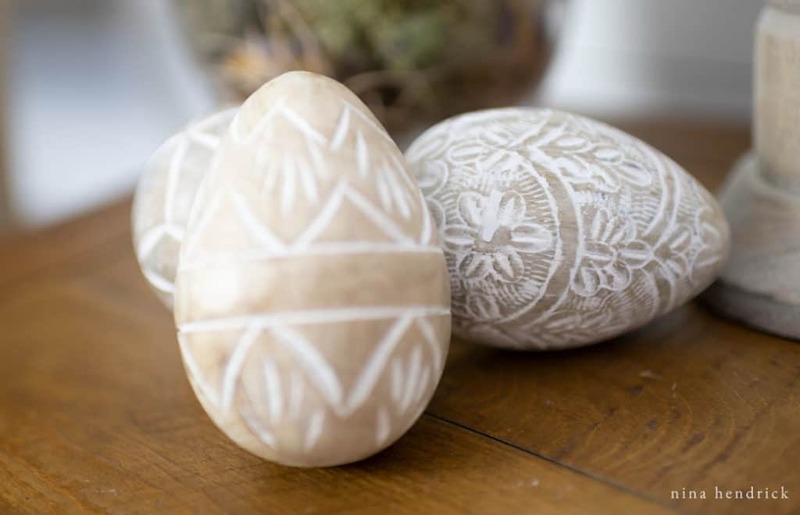 I did buy the carved eggs this year to match the bunny centerpiece from the purple tablescape I mentioned. I love the detail! 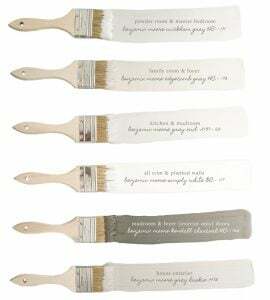 They were from Pier One in store, unfortunately, I can’t seem to find them online. Please Note: The printable will be delivered directly to your inbox. Unfortunately, I cannot provide one-on-one technical support for free printables, as all computers and settings vary. However, I do have this troubleshooting page, which may help. Thank you for understanding!